https://www.kipling-usa.com/big-wheely-kids-rolling-backpack/100250018.html Big Wheely Kids Rolling Backpack As cute as it is convenient, the Big Wheely offers on-the-go storage with two spacious, secure compartments that make it easy to stay organized at school or while traveling. A pair of eyes and ears gives this bag a playful touch any student will love. As cute as it is convenient, the Big Wheely offers on-the-go storage with two spacious, secure compartments that make it easy to stay organized at school or while traveling. A pair of eyes and ears gives this bag a playful touch any student will love. 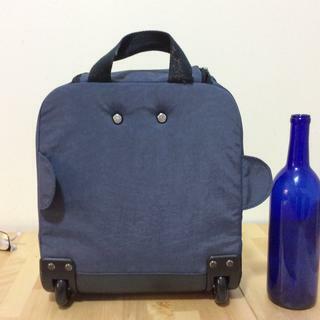 The backpack is very cute but dealing with this company is horrible. I returned the backpack because of the horrible customer service I received. It’s unfortunate as the product itself is cute and I would have probably kept it as my son liked it. I caution anyone buying from this company. Suggestions: the handle must be a little longer for taller school children. 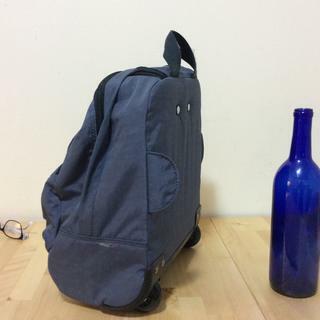 A strap for backpack can be added. All in all I like the quality of the product especially it is lightweight. I have handbags,wallets, traveling bags. I love your products. Thank you!! They’re great. More power! For the durability kipling bags are known for. For my daughter. As a complement to her school rolling bag. Is cute and match with everything! The size is perfect! What age is this bag recommended for? This bag is recommended for toddlers!